ChatIn is a location based social app, which enables you to meet new people, interact and exchange views and ideas based on common interests and geographical location. This new and exciting app, allows users to bring to life checked-in places on Facebook, and transform them into live and dynamic chat rooms. ● Use ChatIn to locate other app users around you, strangers or friends and invite them to chat (In public or in private). 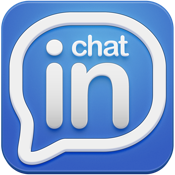 ● Use ChatIn to start study forums and make use of the combined wisdom of the people around you. ● Follow your favorite rooms and see what people are up to, even when you're no longer in the area. Make your voice heard, let other people around you know what you think.